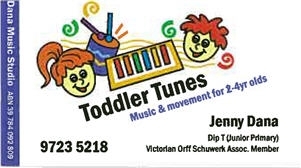 Build your child's music skills in a fun evnironment through singing, movements and playing percussion instruments. Do you have a financial plan? 9 top tips to help you look big! it easy for people to find you. Looking for a local business or service?